"...I needed to move my 93 year old aunt from Qualicum to Calgary. Tom was referred to me by a friend. I explained my situation to him and he met with my Aunt. She suffers from dementia and Tom was so patient and kind with her. He would give her reminders when there was a showing and help her get the home ready. The sale happened quickly and smoothly and my aunt was so pleased, as was I. Tom goes the extra mile and I would highly recommend him if you’re looking for an agent. Thank you Tom from Leslie, Kathleen and their entire family. " "...Our recommendation of Tom comes without reservation. Tom was a straight shooter and we were very grateful to have him on our team. Throughout the buying process we always felt he had our backs. Tom was professional, responsive and a pleasure to work with. We will definitely call on Tom again when it is time to sell. " "...Tom is informative, available, friendly, and took care of our interests as buyers. Strong recommendation! " "...Well we have been moved into our home for about 3 weeks now and most all the boxes are emptied. Our home is coming along nicely and so it’s an appropriate time to write a short review. We were living out of province during our search which lasted about 15 months. We worked with Tom throughout that entire time. He was very patient with us, to say the least, sharing his knowledge of the areas we were looking at and always made himself available to see a home, sometimes on very short notice. Tom shared very current information with us on a very timely basis. Tom, along with his assistant Susan provided us with all the information we needed and made our ‘long distance’ purchase process flow seamlessly. Thanks again Tom and Susan for everything! " "...Tom has been a wonderful realtor. After I took more than a considerable amount of time to make a decision on the purchase of a home, Tom remained patient and friendly. He is very knowledgeable of the real estate market and I learned so much about the area thru him. I found Tom to be a conscientious and trustworthy realtor who I cannot recommend enough. " "...Neither my husband or myself usually make a practice of writing online reviews however, in Tom Whitfield's case we enthusiastically make an exception. We both purchased our home using Tom and subsequently sold it using Tom as well. We had a very professional, while at the same time relaxed experience in both cases. Tom knows the markets well and has a thorough understanding of what drives them at specific times of the year. At any point in time Tom returned our calls within a very short period of time. He was attentive, helpful, understanding and extremely patient. A bonus of our real estate experience with Tom is that he has ended up being a delightful and good friend. We would highly recommend Tom to everyone. " "...We were extremely pleased with you and the service you provided, and would definitely recommend you to friends and family in the future. " "...I can't imagine a better or more professional experience when buying a house. Tom took the time to fully understand what we were looking for (and what we weren't), kept us informed and updated on new properties that fit our needs - quickly and for an extended period of time, and enabled us to acquire exactly the home we were looking for - easily and hassle-free. I can recommend Tom without reservation. " "...As a successful Realtor in Santa Fe, New Mexico I am very sensitive to the degree of professionalism and customer service displayed by fellow Realtors. We found Tom through his excellent website. Throughout the home buying process Tom listened and showed us properties that were in line with our preferences. After a week he had such insight as to what we'd like that he phoned us with a property that was not yet on the market - and we made an offer that very day. Tom is a very amiable guy; he knows the market and has a calm, non-pushy demeanor. Choose him if you're looking to buy or sell! " "...We met Tom when we inquired about a property listed online. A series of circumstances led to Tom helping us find the perfect property for our needs. Being in another province, Tom did an outstanding job in providing us with all the details prior to our arrival. Once on site it was an easy decision for us to make the purchase, including excellent leads on legal, insurance, etc. to help us rapidly expedite our purchase. If you are looking for a helpful, engaging and supportive agent to help with your purchase or sale Tom is a great agent to help you achieve your goals. Adrian and Jo Ann Johnston, new to Deep Bay! " "...We happened to choose Tom as our realtor based on viewing one of his listings, and it turned out to be a great choice. Tom's knowledge of the area and the market was unsurpassed, and his attention to detail through the entire process was seamless. We have dealt with many realtors over the years, and Tom was certainly one of the most professional and helpful we've had the good fortune to deal with. We would highly recommend him to anyone looking for an intelligent, well informed, active in the community, and just a great guy." "...We were moving from Ontario and searching for a home. We did not have a great deal of time in which to do so. We found Tom to be by far the best prepared realtor we met. He not only provided us with a comprehensive package of information on the area, he acted as an advocate for Parksville/Qualicum Beach. His prompt response to questions and his attention to detail assisted us in making a decision to buy a house in Parksville. We would unhesitatingly recommend him to anyone considering moving that area." "...Tom was great! He kept me up to date on every part of the sale and went above and beyond. I was very happy with him. " "...We thought you did a good job and particularly appreciated your communication. " "...We met Tom when we inquired about a property listed online. A series of circumstances led to Tom helping us find the perfect property for our needs. Being in another province, Tom did an outstanding job in providing us with all the details prior to our arrival. Once on site it was an easy decision for us to make the purchase, including excellent leads on legal, insurance, etc. to help us rapidly expedite our purchase. If you are looking for a helpful, engaging and supportive agent to help with your purchase or sale Tom is a great agent to help you achieve your goals. Adrian and Jo Ann Johnston, new to Deep Bay!" "...Tom helped me sell a property while I was out of the country and he was great. Communicative and took care of all the problems that came up so that I didn't have to! " "...Being new to the area we chose Tom Whitfield solely by his online photo. Some people radiate their persona thru a photo and to my wife and I Tom looked Sincere, Knowledgeable, and Honest. In all aspects we were proven right. Tom was there for us totally. Through his extensive experience in the area he had intelligent answers for all our questions. He showed us only properties that fit our criteria and never a property that worked best for him or his agency. We found Tom Whitfield to be a superb realtor and the best (and we have used many realtors over the years) His booklet that his clients receive contain every stitch of information, details, and important names and phone no's regarding the area that anyone could or would expect. After the sale his list of trades people to contact was a great help, and all those trades people that we did hire proved to be just as honest, hard-working and diligent as Tom. If you’re looking for a realtor, call Tom. " "...Tom was simply awesome. Professional, thorough, likeable, flexible, readily available - and offering a fantastic attention to detail that we really appreciated and that helped us get the home of our dreams. We highly recommend him. " "...So glad we happened upon Tom when we decided to investigate a move to Qualicum/Parksville!! He was a wealth of information about the area and helped us through the purchase process from start to finish. " "...Tom Whitfield is an amazing realtor! His professional attributes are many, but what impressed us most was how much he really listened to us. Tom found us the perfect home while always keeping our best interest in mind. From the start of the process onward, Tom has helped us with every detail along the way - we felt very much taken care of! We highly recommend Tom as a realtor and we will always confidently share with family, friends and/or acquaintances to look no further. " "...We first met Tom Whitfield on a visit to Vancouver Island last year. He very graciously showed us a few properties and around the area. He is very knowledgeable about the market but also over the years he has become entrenched in the community and he is what we would consider an area expert. We asked him a lot of questions and we were always satisfied with the detailed answers he provided. We recently made the decision to purchase a home in Qualicum Beach and asked Tom to represent us. What made our situation a little unique is that we made an offer on a condo without having seen it because we’re currently living on the East Coast. We put our trust in Tom who accommodated us every step of the way. Tom has been professional and service oriented and we would certainly recommend him to a potential client." "...We had the pleasure of having Tom acting as our agent in the sale of our lot in Fairwinds. Tom was very professional, he kept us up to date on market conditions and showings, and he found us a buyer at a price we were very satisfied with. Thank you Tom !!! " "...Tom was great to work with and very congenial. He knew the areas and knew the intricacies of the properties. Always available and professional in his work. " "...I'm very impressed with the service I received from Tom, as were the family and friends who were with me on my search for the perfect home. Not only do I live on the mainland, so viewing involved a ferry and my work schedule, I pretty much knew what I wanted. Tom was very accommodating and very patient. He was also very helpful in identifying potential areas of concern for me and, since I'm certainly no handyman, in offering names of tradespeople he has used and has confidence in. In addition, he was a veritable fountain of information about the area, and I learned a lot just driving around with him. This was my third house purchase, and I've never received this level of service from another realtor. Thanks, Tom, and I'm sure I'll be using you as a resource in future. " "...Our first experience with Tom Whitfield has been a very positive experience; he listed our home in Fanny Bay and found us another home to purchase in Qualicum Beach. His expertly designed web site includes up-to-date marketing strategies such as videoing and drone photos which help sell our property. On both sides of the equation, he was extremely professional and knowledgeable. He carefully guided us through the various phases of purchasing and selling with ease and clear communication. Tom was always friendly, honest in his dealings with us. We would highly recommend Tom for any real estate need, Tom was our best investment. " "...Tom Whitfield provided professional insights and understanding of our needs when finding our new home. He worked diligently to keep us informed of new listings that would suit us. In every aspect of the demands we placed on him, Tom exceeded our expectations! I have gladly recommended him to friends looking to move to the Qualicum Beach area of Vancouver Island. He is an expert at what he does, and brings a joyful spirit to every aspect of an otherwise daunting endeavour. " "...From the beginning to the end of the sale process Tom was a careful guide to the complexities and intricacies of the sales effort. At all times he worked to ensure the property puts its best face forward to potential buyers. He took time out to explain the finer points of the realty business which broadened our own horizons. And coupled to all that was a pleasant, open and forthcoming person with whom we enjoyed working. " "...In our experience, Tom is a credit to his profession and is an excellent realtor in all respects. We were quite some time selling our house and Tom stayed with us for the long haul. Besides being a very likeable, honest and hard-working fellow, we always enjoyed Tom's company. He is front and centre with his website which provided us with a great deal of exposure for our home. He kept us updated regularly on the market situation, most often with visits to our home, and was always frank but positive. He is the kind of fellow that when you have finally completed the deal and sold your home, you want to keep the friendship going. We highly recommend Tom! " "...We never regretted to have chosen Tom as our agent; after listening attentively to what we were looking for and what our time frame was, he took us for a 2-hour drive to show us the different possibilities the area had to offer. For 2 years, we regularly received listings and evaluation of the market and when we were finally ready to move to BC, Tom actively searched for the perfect home for us! He visited properties himself and confirmed the positives and negatives and either e-mailed or phoned us in Ottawa to tell us his impressions. When THE house finally showed up, he arranged, on short notice, a house inspector and septic inspection and also has a long list of local contractors. Highly recommended. Thanks Tom. " "...Tom did it again! For the second time is less than two years he has handled our real estate needs professionally and seamlessly. Working with Tom is always stress free and downright enjoyable. If we ever have the pleasure to buy or sell in the area again, we look forward to reuniting with Tom, his knowledge and expertise. " "...Tom was very helpful in helping us to find a home and introduce us to the community. " "...We have worked with Tom over the past year in an effort to find a home in Qualicum Beach area. He is a most professional, proficient, and a real gentleman to deal with during our experience. I would certainly recommend his services anyone who may be seeking to purchase a home or other real estate. " "...I approached Tom to help with a property purchase "from a distance". The property is on the Island and I am on the mainland. He was able to show me the place quickly and processed all paperwork very quickly as well. Tom answered all queries I had and guided me expertly through the processes. He was a great help in identifying choices of local businesses to conduct the various aspects of the purchase items with and they all turned out to be great. Tom is extremely professional, honest and has great character. It was easy to trust him as he was very forthright about items for consideration with the property. I highly recommend him. " "...Tom is the best! We were looking for perfect place for nearly 3 years! Tom kept us informed about properties that were coming up on the market all this time. He was very patient with us:) The reason we decided to work with Tom in first place, he was very knowledgeable about the neighbourhood, setbacks for the future construction and trends in the area. I did recommend Tom already and will continue recommend him in the future. " "...We approached Tom to act on our behalf on a purchase transaction. He was very responsive, prepared the offer sheet immediately, made our requested changes and presented the offer. Throughout the negotiations he communicated all the time keeping us informed and worked with us when delays happened to ensure we got to where we had to be. His technical expertise made dealing from a distance easy and we were extremely pleased with Tom's efforts on our behalf. " "...As we near our retirement date I had contacted Tom about some properties and the area. Shortly before our scheduled arrival Tom checked in with us (without needing to be reminded we were coming) to finalize details. All communications were promptly and clearly responded to. Although Tom knew we were not at the point of purchase, he willingly spent the day with us, sharing his tremendous knowledge of the area, his wisdom in purchasing real estate and his great sense of humour! We found Tom to be very professional and personable. He took copious notes as we discussed properties with him and asked questions that helped us focus our search at the time and in the future. Thanks for a great day Tom! " "...Our Qualicum Beach home was the eighth home we have purchased and Tom was by far the best Realtor we have ever dealt with. Being unfamiliar with the area we were extremely fortunate to have Tom’s knowledge and experience to draw upon to assist in our decision. Tom managed the purchasing process extremely effectively, even when we were vacationing thousands of miles away. His after-sales attention is exemplary, ensuring we are completely satisfied. We have recommended Tom to all of our friends and give him our highest endorsement and also our sincere appreciation for all he has done for us." "...Tom is did an excellent job with the sale of my property. I was always keep apprised of potential buyers and got feed back from what they thought of my property. His photos, description and presentation of the property was top notch. He is very hands on and this sale would not have gone through without his dedication. Thanks Tom!" "...Working with Tom has been a breath of fresh air. He is very knowledgeable and very professional. I wouldn't hesitate working with him again. I highly recommend him." "...Just want to say a great big THANK YOU for all of your help and attention. You're the best!! Will certainly recommend you to anyone looking to buy or sell in the area. " "...Rarely does someone make an impression to motivate me to sit down a write a letter. Well, Tom Whitfield has made such an impression. Tom is truly a remarkable realtor in that he is able to cover all the bases while making it look so easy. His professionalism, enthusiasm and efficiency are purely amazing. I’ve never seen anyone so motivated, energetic, willing and able to satisfy his clients. What he does and the way he does it, you can’t learn, it just comes naturally. Heartfelt thanks to you Tom and your associate Susan for representing me. " "...We purchased our home from Tom five years ago, Tom truly went out of his way to find exactly what we were looking for. He spent many hours showing us various properties in the area we were interested in. We have just now sold our house and again through Tom. He spent, many hours bringing potential buyers through the house and looking after the property when we were absent. I am now in the market to purchase another house and of course, the agent will be Tom. Can't find one better." "...Thanks again for making our buying experience so quick and painless!!! " "...Tom has been absolutely great in our condo buying process from start to finish. He has been very patient and helpful with us through the whole transaction, has a great sense of humour too! Would highly recommend him to friends and family! " "...We received excellent services from Tom Whitfield of RE/MAX Anchor Realty. Throughout the listing period and subsequent sale Tom managed our property and went beyond the call of duty in meeting with our requests. In addition he was proactive in inspecting our property and reporting any issues that required attention in our absence. We commend Tom for all his efforts and time and strongly recommend him to anyone seeking top level real estate services. " "...Our experience working with Tom in March 2015 has been exceptional. Our relationship began as an “on-line inquiry” about a property of interest and resulted in a quick trip from Alberta to Nanoose Bay shortly thereafter with the purchase of a great property. Tom replied promptly to inquiries, went the extra mile to take additional photos and provide extra information which helped us make the decision to fly out to have a look “in-person”. Once there, Tom dedicated himself to ensuring we had suggestions for everything from accommodations and restaurants to information about the community, the environment and the local services. He was highly proficient with the required realtor skills and ensured that our needs were satisfied in every way. We felt confident with his integrity and his candid approach. Tom was always timely with comprehensive information and a great resource for contractors. We were able to manage a purchase from long distance without any hesitation or worry. Tom is a consumate gentleman and an efficient, effective Realtor. " "...Tom has be a great pleasure to work with. A true professional at heart, friendly and ready for any kind of assistance. Pricing has been spot on the mark to make for a very quick and easy sale. I would recommend Tom and his team to anyone in a heart beat. Great Job Tom!!!! " "...We had a great experience dealing with Tom Whitfield when we were looking for a house in Qualicum Beach. He was very professional and personable right from the start, giving us lots of information on the area, and having a manageable number of houses to look at in a day so that we still had time to explore. Tom was very patient and showed us a number of different options so that we could make an informed confident decision about what we wanted. Lots of laughs along the way too! Once we found our perfect house, Tom was an excellent negotiator and really worked hard for us during the process. It didn’t end there though, he also helped us after the deal was done – we were from Alberta, so we didn’t know the area at all, and also weren’t there to set up things like the house inspection and carpet cleaning. Tom was on it – he made the required appointments, gave us a great list of contacts to get us started (e.g. utilities), and still to this day will provide us with the name of a landscaper or other service we might need. " "...”Tom Whitfield is Highly Recommended by Beverley and Len. He is an excellent communicator, he provides a realistic valuation of your home, ensures the vendor receives prompt feedback from showings and is always available when you call. Both my sister and mother were realtors so I know a good realtor when I find one. Do yourself a favour and use Tom Whitfield to sell your home. He takes the stress out of the home selling.”"
"...“Not having ever lived in BC we had a million questions about how things work, the weather etc. I don’t think we stumped Tom once, he is a wealth of knowledge on every topic imaginable. He always made himself available when we came to town, and listened carefully to our comments so he could understand our needs. Our search was widespread and varied and Tom was very patient and willing to take that extra step, including making inquiries on our behalf with the town planner. Once we made the decision to buy the process was quite seamless with Tom guiding us through each step, making recommendations on lawyers, property management, arranging the home inspection, etc. I know that Tom, even now that the sale has closed, will always be a resource for us as we make our big move.”"
"...Dealing with Tom Whitfield of Remax was a pleasure. He understood what we were looking for, and afforded us two days of his time to show properties - resulting in our finding the home we wished to purchase. Go to Tom! he clearly knows the surrounding districts and is a true professional." "...“…note to express our appreciation to Tom Whitfield for making our property search and purchase such a pleasant one. Tom is a true professional. His easy manner, wonderful sense of humour and wealth of knowledge and experience made our decision to buy a confident and stress free experience. We would not hesitate to highly recommend Tom’s services to friends and family. Thank you Tom.” "
"...If you are looking for a terrific realtor, look no further. We had the pleasure of house hunting in Qualicum Beach with Tom for a weekend in early April of 2014. Tom’s gift is that he figured out before we did what kind of house we really wanted by listening t us and by observing our reactions. Then he skillfully guided us through the negotiations and, thanks to his expertise, we got the home we wanted. He also managed to keep us focused and on track, a feat miraculously accomplished with style and good humour. " "...We have bought and sold a number of properties over the years, and we can honestly say that Tom Whitfield was the best realtor that we have had the pleasure of working with. Tom is a true professional and extremely well informed. He helped with the entire buying process, from beginning to end and beyond. Tom also provided a well of information about our new location, community, and local services. We would highly recommend Tom to anyone needing a realtor. " "...Tom did a great job for us. He guided us thru the sales process from start to finish. Tom gave us an appreciation of what a knowledgeable, competent realtor can do to create a positive outcome. He was always available, he kept us informed, took a pro-active approach, and was ready to deal with any concerns whenever they arose. If you are looking for a professional real estate agent; Tom's your man. " "...…thank you very much for the many hours you invested in our search! Tom spent many hours over four years showing us homes while we tried to sell our acreage in Alberta during a very slow market. Tom listened, questioned and catalogued our remarks all the while listening for the magic words that said just what it was that we were looking for in a home. He invested a lot of his time helping us to find the "perfect" one. We love our house, yard and location. Everything suits us to a "T". " "...Tom provided patient, professional and well organized support in our house purchase; his thoughtful and well informed advice was timely and efficient. He has been a pleasure to work with. " "...Well, Tom did it again! He found us another project as we had asked him to "this one just needs updating" he said . The negotiations were simple and quickly handled by Tom, well known for his professionalism and integrity. He met us with the keys to our new place and even helped us unload our furnishings from the truck. What a Guy!!!! Thanks Tom. " "...…appreciate your involvement…Thank you for going the extra mile in so many ways. " "...…we were fortunate enough to find Tom Whitfield to act as our Real Estate agent. He has a wealth of information about the area and is passionate about this beautiful island he calls home. Tom found us the perfect new home that very afternoon. We found Tom to be friendly, knowledgeable and extremely helpful as he handled all of the paperwork. …with Tom’s patience and expertise we completed the sale. If you are lucky enough to work with Tom you will find him to be a competent, hard working professional. We would highly recommend Tom. " "...…appreciate all your efforts and communication. No question was too trivial or unreasonable…as a result we have succeeded in the sale of our home…allowing us to move on and enjoy the coming years… "
"...Putting your house on the market and then living in anticipation of all the challenges that come with change is not easy. What makes a huge difference at a time like this is the realtor involved. Tom Whitfield was the realtor that made this difference for me. Tom is professional, knowledgeable, highly competent, efficient and very personable. Tom is a pleasure to work with and he set my mind at rest. He worked hard on my behalf, maintained regular contact and at all times gave me a sense of optimism. I truly felt he was ‘in my corner’/had my best interests at heart. I heartily recommend Tom, you will not be disappointed." "...Tom, I would like to convey our great appreciation for your prompt and informed assistance on the purchase of our new home in Qualicum Beach. Your regular updates on the market and ability to gain rapid viewing access, and later inspection, were integral to enabling us to make a comfortable decision and proceed with the purchase. Post agreement, we have also been very pleased with your assistance related to closing documents and preparation for the move to our new community. Thanks again for the services of your office and your professional approach, which have all been exemplary." "...To say that my husband & I have been impressed with the quality of service, the kindness & thoughtfulness, the professional attention to detail, the patience and the added extra touches that Tom Whitfield has provided...would be an understatement indeed….He provides a wealth of local information, extensive experience & as has aligned us with quality contacts for the many aspects that home ownership requires…especially when one is changing communities. Thank you Tom…it has been a pleasure to work with you." "...What we most appreciate about Tom is that he tells you the truth, not what he thinks you want to hear. When he tells you that he is going to do something it is done instantly …and right. We have enjoyed getting to know him and would refer him to others in a heartbeat. Not only is he a true professional, he is just a really nice guy." "...Thank you, Tom. You have been extremely helpful and an encyclopedia of knowledge! We will definitely recommend your professional services to our friends." "...Thank you for your professionalism and your tenacious approach to finding the right new home for me." "...We were very fortunate to find Tom on his website. 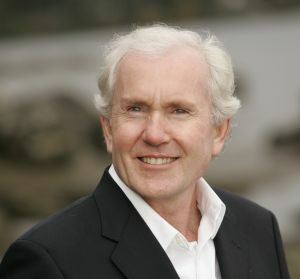 His knowledge of the Qualicum Beach, Parksville and Nanoose Bay area is exceptional. Tom’s professional approach, attention to detail and generosity are just a few of the things that make Tom not only the excellent realtor that he is, but a wonderful person. We purchased our home and to this day Tom is available to provide us with any information when we need it. We would definitely use Tom in the future and highly recommend him to anyone needing a realtor." "...We cannot recommend Tom enough. This is a Realtor that puts your best interest first and his expertise is above all in our opinion. We didn’t have the easiest home to sell and tried other options before going back to Tom who we knew would seal the deal. This is a Realtor that is so professional and knowledgeable, we just can’t say enough. We have already told a few of our friends who are thinking of selling their home that you can’t go with a better Realtor. He works quick without having to ask and stays on top of things. We also appreciated his punctuality and if we couldn’t reach him right away he always got back to us quickly. Thank you Tom!" "...We recommend Tom and his services to anyone seeking honest, patient, careful, thoughtful, knowledgeable professional services with the highest level of integrity." "...Tom Whitfield ...was recommended to me as the Real Estate agent of action with integrity. So I engaged his services to sell my home. He was very diligent, forthright and precise in all of our discussions. His dedication and manner resulted in a sale. Thank you Tom." "...Tom obligingly spent a number of hours with us, sharing his detailed knowledge about the area and its weather-a big factor in our decision to relocate to Qualicum Beach. ...he made it a priority to learn what we were searching for....was able to answer our many questions. Ultimately, we asked Tom to represent us in the purchase of another property...a wise decision, as he was able to provide us with much..information on the property and its history-details crucial to out-of-province buyer... He also recommended reliable local trades people who added a significant measure of security to our purchase, and he continues to provide us with useful information to help with our move to the Island. We feel fortunate to have found such a competent realtor-many thanks again, Tom!" "...I gave this property to another company and it sat on the market for a year. We then gave it to Tom and it was sold in 6 weeks. Service was fabulous from start to finish. Thank you Tom - thank you RE/MAX First Realty." "...If ever you decide to sell your home & want a hard-working Real Estate agent with commitment & integrity, definitely consider Tom: a man who not only works hard but also has your best interest in mind. Tom listed our home in a tough market & 2 months later it sold at 98% of the asking price. After every open house or showing he called with feedback, suggesting changes & ideas that improved buyer reaction to our home. We were pleased with his professionalism & thoroughness. We wouldn't hesitate to recommend him." "...Less than a year ago, we meet Tom & he spent a whole day with us viewing homes. During the day & following months, it became apparent that Tom is not a pushy realtor. He is a sensitive “reader” of his clients, finding out their wishes. Tom's a highly skilled realtor, not afraid to point out the negative sides of a potential buy. He leaves no question unanswered. He can be regarded as a man of integrity. We found the house of our liking. We feel we've gained a friend whom we'll gladly recommend. Tom & his staff lead expertly to where their clients want to go." "...Our Qualicum Beach home is the 8th home we've purchased & Tom was by far the best Realtor we have ever dealt with. Being unfamiliar with the area we were extremely fortunate to have Tom’s knowledge & experience to assist in our decision. Tom managed the purchase extremely effectively, even when we were vacationing thousands of miles away. His after-sales attention is exemplary, ensuring we are completely satisfied. We've recommended Tom to all of our friends & give him our highest endorsement & our sincere appreciation for all he has done." "...We're delighted to provide a testimonial for Tom Whitfield. We first met at an open house he was having in Qualicum Beach. We did not buy that house but later contacted him to show us some houses in the area. 8 months & many viewings later, Tom helped us find the perfect house. Throughout the months, he was always friendly, patient, professional, insightful & helpful. Above all, he was a veritable fount of information about Parksville & Qualicum Beach & all things horticultural. We have no hesitation in recommending Tom to you." "...Tom Whitfield was of invaluable assistance to us with our retirement from Alberta to Oceanside. Over an extended period, he provided us with regular updates on the local real estate market until we were ready to make the move. In addition to being very helpful with the real estate search, he also readily shared his expertise about the local area including historical insights, places to visit & access to local services. Tom is very approachable, professional & friendly & we highly recommend him to others looking for top notch service." 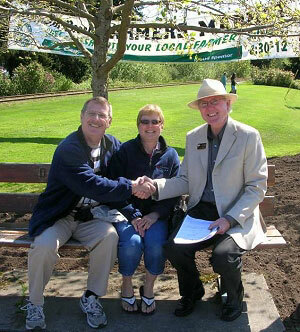 "...We had the good fortune to utilize Tom Whitfield's services, when moving to Parksville this past year. What impressed us was Tom‘s attention to detail, persistence & timeliness in all communications. Tom arranged properties for us to view that met our requirements. When challenges were presented by the sellers, Tom dealt with these in a quick & straight forward manner. We were most impressed with Tom’s knowledge of all facets of real estate & would not hesitate in recommending him to be your real estate professional." "...My husband and I had an excellent experience dealing with Tom Whitfield as our agent in purchasing property in Nanoose. He was very personable, helpful, knowledgeable and responsive to our needs. Tom has a very relaxed style, advising and educating us every step of the way. Thanks Tom, for a very pleasant and professional purchasing experience." "...When I was looking for a realtor to sell my home, I searched my computer keying in, 'Parksville, BC Real Estate Stratas', as a potential buyer might do. On the first page, the first realtor that came up was Tom Whitfield. Looking at his website, I was impressed with the presentation & amount of information available. His cell phone number was listed on the site, a good sign that he would be readily available to potential buyers. I was very appreciative of the extra service Tom gave. If you are thinking of buying or selling, Tom is an excellent realtor to work with." "...My family & I have been recipients of Tom Whitfield's services over the past year as he & his team have helped us navigate three separate purchases of real estate. Tom has earned my respect & trust in searching & conducting these transactions. Tom's exemplary attention to every detail from start to finish of each transaction is noteworthy. His humbleness, integrity, availability & consistently good-natured attitude make the experience of working with him a pleasure. I recommend Tom & his team without reservation; he has done right by me." "...In my experience both in selling and purchasing real estate getting a professional involved comes back in spades whether I'm a buyer or a seller. But as in any trade, often 'the good ones' are far and few between. I've been told that 4% of the realtors write 90% of the deals. My sense is that Tom is in the top 4%." "...I would like to express my appreciation for all the help that Tom gave me on my recent house purchase, it was a delicate situation and he was kind and considerate with no pressure. It really helped that he is so knowledgeable about the area and the Island." "...We enjoyed and appreciated Tom's professionalism, knowledge, humour and patience as we searched for our new home in Parksville. The local information he provided was invaluable. Thank you Tom, for everything." "...We've been working with Tom since 2008 when we purchased a lot and later on a house in Fairwinds, Nanoose Bay. He helped us make an informed choice in both cases, by being very honest and very knowledgeable in every aspect of the process. We recommend Tom to anyone interested in buying or selling real estate in the area. He is the best and most dedicated agent you could find." "...Just had to say thank you once again Tom for your outstanding service in the selling of our home...Tom did it with effort, dedication, hours of hard work and true grit. He worked along with us all the way, advising, explaining, and putting things together for a fine listing . He always found time to answer our phone calls, and took time out of his hectic schedule to meet with us many times, even if it had to be well into the evening. Also, he was so patient with us. A great guy, dedicated and truly a pleasure to work with. " "...We’ve been working with Tom for 4 years now. First looking for investment property, later looking for renovation opportunities. In all this time we have been impressed by his expansive knowledge of the community, his professionalism and his unending patience. Our relationship has firmed to a point where we would turn to him for any support and assistance and would recommend Tom over and above anyone else in the community." "...Tom provides exemplary realtor service in all aspects. It was a wonderful experience to have him help us buy our new home, and we give him our highest recommendation possible." "...As absentee owners of a high end home in Fairwinds Nanoose Bay, BC., that Tom listed and sold, we could not be happier. Tom assisted us in every aspect of the listing, the offer, and the care needed "to get the sale". We are convinced it was though his efforts and planning that we were able to find a buyer "ready and able" to buy. If you are looking to buy or sell, Tom is someone you need to consider as your agent. Thank you Tom for a job well done." "...Tom sold our home and he sold it fast! He was very helpful in assessing the market conditions and the timing of the sale...so it all worked to perfection and we got fair market value for our home. We can't say enough thanks for the professional, knowledgeable and personal service we received from Tom. We would highly recommend him to anyone who is buying or selling a home on Vancouver Island. Tom knows his stuff." "...We would like to take the opportunity to express our appreciation for all your hard work in marketing our property in Qualicum Beach. There is no doubt that your diligent efforts and professionalism were responsible for obtaining an attractive offer and subsequent sale. The effort, energy and commitment that you provided went far beyond our expectations. We have consistently found you to be most pleasant, sincere and honest in all our dealings and it is because of these fine qualities that we bought our new house from you as well." "...Thanks Tom for a job well done! It was very efficient doing business from both Indonesia and the UK to over there in Canada, and you have helped enormously. Our home purchase was smooth going under your care. Thanks for your diligence." "...Without the support of Tom Whitfield we definitely would never have found the right property; but definitely would not have been able to complete the transaction being 10,000 KM away. He was professional, objective and most of all kind in his advice and prompt in his response." "...Both Bob and I so appreciate the time and energy you devoted to us in helping find the perfect home. We have recommended you to many Saltspring Islanders looking to relocate to the 'big' island." "...We have bought and sold 7 houses over our 40 years of marriage which means we have experienced our fair share of real estate agents. Only 1 contacted us on a regular basis to update us on our home and the market, only 1 provided an outstanding quality website presentation and only 1 was forthright enough to be extremely open and honest in the way that we expected. That is Tom Whitfield of RE/MAX in Qualicum Beach." "...We found Tom's website, and immediately fell in love with a listing due to his beautiful photography and thorough information. From the showing to handing us the keys, Tom made an out of province purchase easy. His passion for the area shows in his dedication to providing the best quality service to future residents. This wonderful process has given us a home in the Qualicum area and a dear friend in the community." "...Thank you again for everything. We couldn't have had a better realtor." "...Tom helped us through a very complicated sale. He refused to give up and quietly worked to find solutions to problems. He listened to our concerns and followed through on commitments. His hard work and attention to detail helped us reach our final sale." "...I will want to come to you for your knowledge, your enthusiastic but fully informed approach, and your obvious attention to our wishes and interests... would be thrilled to recommend any of our friends to speak to you first. Thank you for the very pleasant introduction to Fairwinds." "...Tom is an honest and genuine person with a strong focus on making his clients' dreams a reality. Tom is very thorough and pays attention to the smallest details. He found us our dream home in San Pareil overlooking the estuary. He coordinated meetings with contractors, cleaners, and labour required to get our house ready for listing. We wouldn't hesitate to recommend Tom to anyone considering moving to the Oceanside region. Thanks Tom!" "...Thank you for your excellent service." "...I know that when we return home and we think of other property, YOU will be the real estate agent that we will call." "...As baby boomers, we were looking at semi-retirement. By chance we ran into Tom Whitfield. He was exceptionally low pressure, with a superb knowledge of the area. He offered sound advice on using our existing equity and a renter option to buy a home in Qualicum. He simplified the process and took all the bumps out of the road. We would certainly recommend Tom's service to anyone looking for their own piece of paradise." "...Express my thanks and appreciation for all your help in my recent home purchase. It was by far the quickest and easiest purchase I have ever made. Your information package was much appreciated and extremely helpful." "...You asked us about our needs and wants and took notes on our likes and dislikes...you were there to answer all our questions and made a successful offer on our new home." "...Your enthusiasm for the area and knowledge of the market in your region were certainly appreciated. We recommend you to anyone wishing to buy property in your locale." "...Tom made the "house hunt" very informative and enjoyable. Not only did he show me homes to meet my criteria, he also showed me homes that I had not thought of looking at." Experience the difference a real professional can make -- call me today at (250) 752-2588 to discuss your Qualicum Beach, Parksville, or Nanoose Bay real estate buying or selling needs.